I grew up in a small town. Or, to be exact, on a farm outside a small town. And I’m talking small. Not city small. But with a population that numbered in the hundreds. Like under five hundred, if you counted dogs and cats. And I couldn’t wait to leave. I’m a city girl at heart. It’s where I feel the most comfortable and relaxed. But that doesn’t mean I don’t love small towns or appreciate the people who live in them. Because, I do! As a writer, I think the fascinating thing about small towns is the sense they are small and big at the same time. Small because they take up less geographical space and have far fewer inhabitants than their urban counterparts. Big because that small space hosts people with the same big hopes and dreams as city dwellers. And they go about creating opportunity without the resources a more urban centre provides. 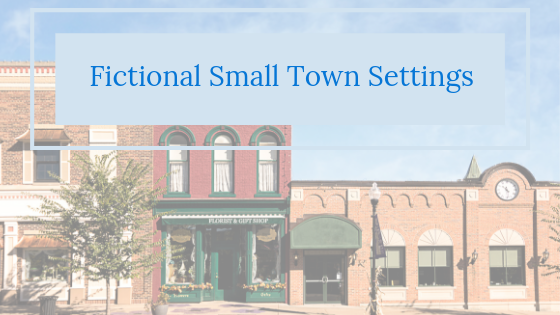 Creating a fictional town gave me the opportunity to explore the romantic notion of small towns with their famous unlocked door policy and their famed resilience. 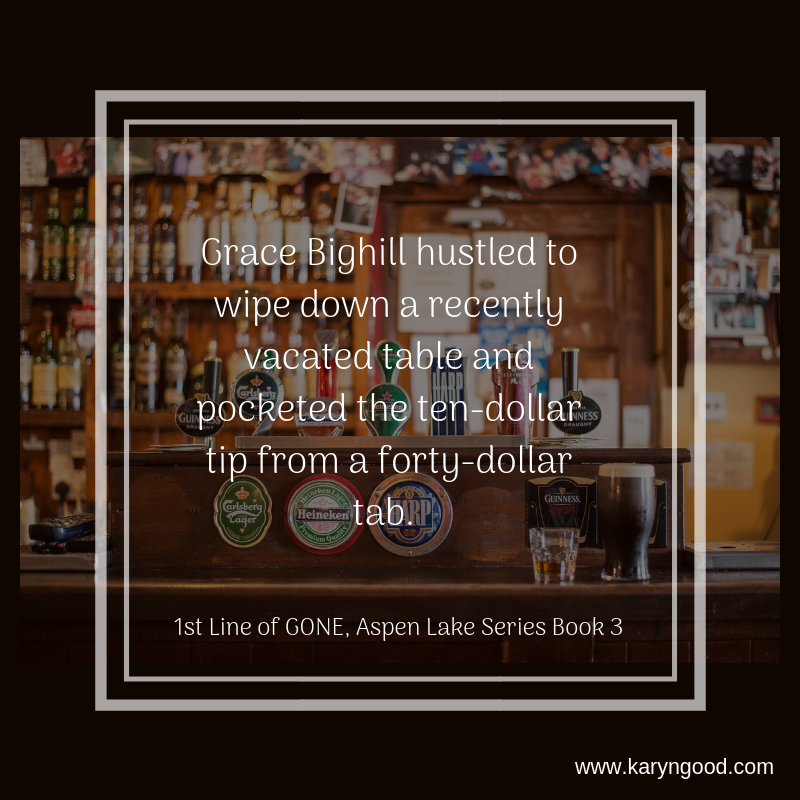 In my fictional town of Aspen Lake, everyone is looking to make a fair living wage, to fit in, and to protect those they love. A rural setting is also an opportunity to delve into the less than ideal aspects of living in a fishbowl. Because no place is exempt from struggle. There is no prefect paradise. No one’s life is devoid of conflict. I hope in Aspen Lake you’ll find both the ideal and the unsavoury. Big city violence invades the quiet steadfastness of Aspen Lake in Backlash. Exposed has more of a snake in the garden vibe. 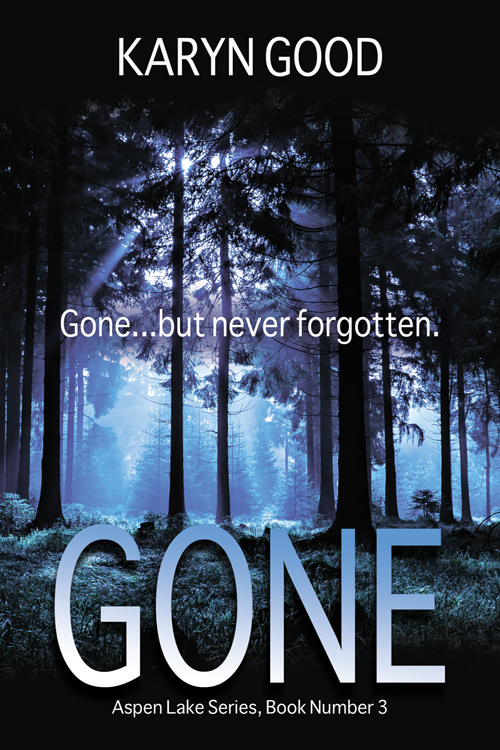 And Gone is all about secrets. What are some of your favourite fictional small town settings? Apparently, the best time to be creative is immediately after waking. The best time to edit and proof your efforts comes later in the day, after your brain has let all those creative juices flow and is warmed up, so to speak. Or so science says. My brain hasn’t gotten the memo. I’m not one of those people who have inspiration hit in the shower, nor does it spark with the first bits of toast. My mind has already started making a list of every single thing I need to get done that day. And every item on that list is seemingly more important than making time for my creative process to emerge. To combat that I make sure I get up early enough to read a couple of pages in a book or of the paper while I wait for my tea to steep. I have breakfast, get dressed, and settle into my office chair. Then I look to inspiration to strike. As I’m usually checking Facebook or Instagram, this rarely happens immediately. But I’m trying to spend less time on social media and more time fostering creativity. Doodling is one of my favourite things. 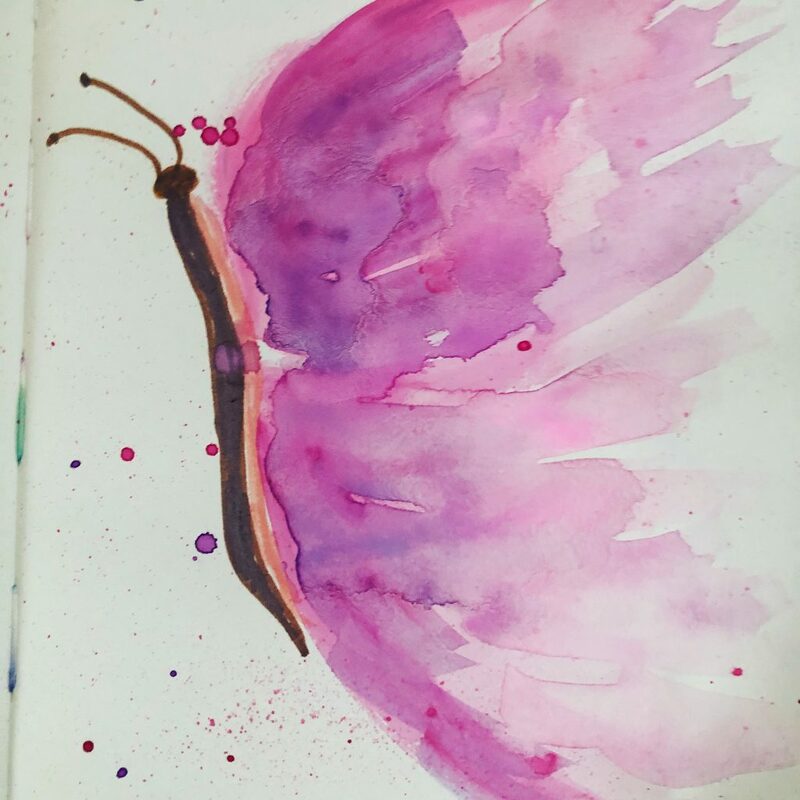 And watercolours are my new favourite medium despite having a lot to learn. Doodling and playing with colour helps settle my mind. Then I generally take care of marketing and promotion duties. I write for an hour. Then I write again in the afternoon. So, the opposite of what science suggests. Maybe on of these days I’ll actually get around to listening to Robin Sharma’s The 5 AM Club: Own Your Morning, Elevate Your Life that is waiting patiently in my Audible to-be-read pile. But that day is not today. 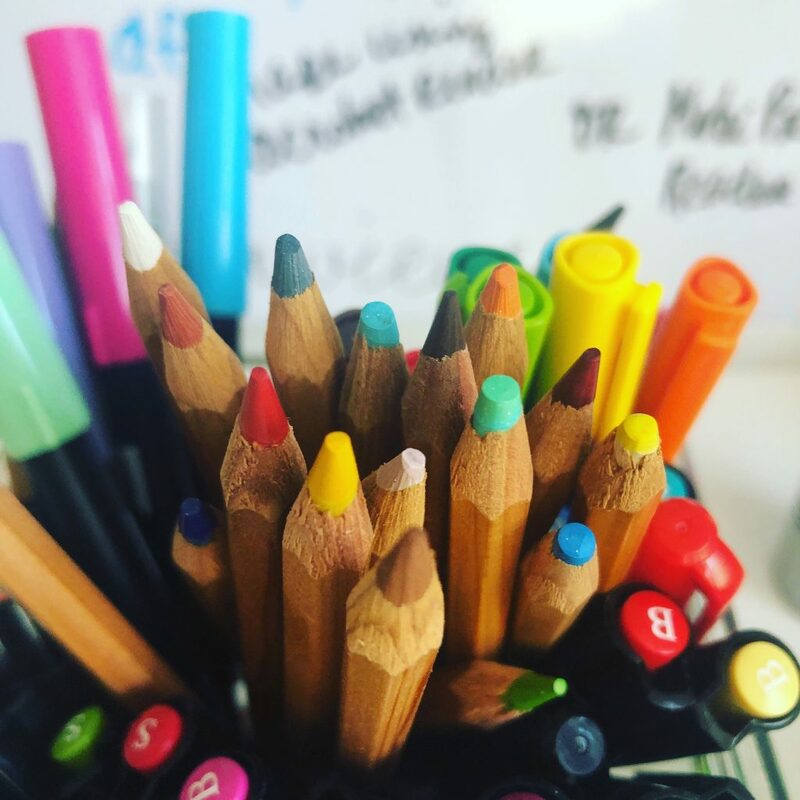 When do you fit in time to be creative? Or to read? Or do something that settles your mind or feeds your soul? Robin Hood is one of my favourite folk heroes. Who could resist stories of an outlaw that steals from the rich and gives to the poor? Displaced, cast out, with a price on his head, the idea of Robin Hood, a rebel for the ages, has infinite appeal. At least, for me! But I love myths and legends. King Arthur, Templar Knights! Tell me all your medieval favourites. I used to read a lot of medieval romances, Julie Garwood, Johanna Lindsay, Jude Deveraux. Writers with “J” names are very good at this, it seems. Castles, ladies of the keep, witches, knights, villainous villains, swords and poisonings. Oh my gosh, those books have the best bad guys! Back to the movies and which were my favourite versions and which one was a huge disappointment. 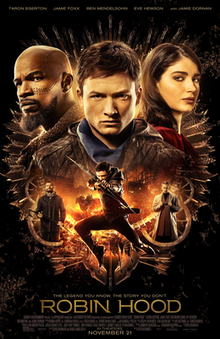 We rented the newest Robin Hood version on the weekend. I was excited! I love Jamie Foxx! I wanted it to be good. It was not. It was terrible. Mine boggling terrible. The costumes were ridiculous. The plot holes were large enough to drive a team of horses through. At one point, my husband asked if we were actually going to finish watching it. We did, but once was enough. More than enough. 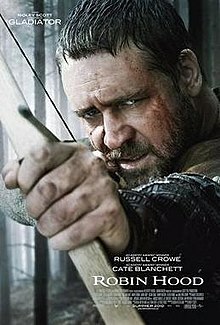 I’m not a huge Russell Crowe fan, but I love him as Robin Hood. Sigh. Almost as much as I love Cate Blanchett as Lady Mariann. I love that they are mature characters, in both temperament and age. There’s also a great cast of secondary characters. And I love that the legend begins when the movie ends. This is my favourite version, so far. It’s one of those movies I watch when I’m in need of comfort. It hits all my buttons. Every time. 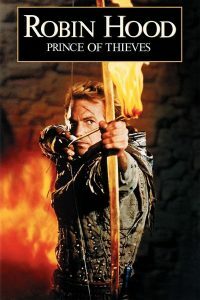 Followed ever so closely by Robin Hood, Prince of Thieves. Despite his abysmal attempt at an accent, Kevin Costner’s Robin Hood will forever have a place in my heart. But ahead of him, is Alan Rickman’s Sheriff Of Nottingham and Morgan Freeman’s Azeem. This is another version I could watch over and over again. My love of the legend probably began with this movie version that I saw in the theatre as a young girl in 1973. It might have been the first movie that I remember seeing in the theatre. I was enchanted by the legend, the characters, and the music. 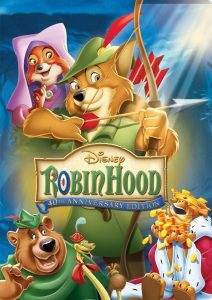 If there are other versions of the Robin Hood story that you’ve loved, let me know. I’d love to check them out! No Such Thing As a Guilty Pleasure! It doesn’t have to be a guilty pleasure. It can just be pleasurable. There should be no guilt attached to the things we choose to enjoy. 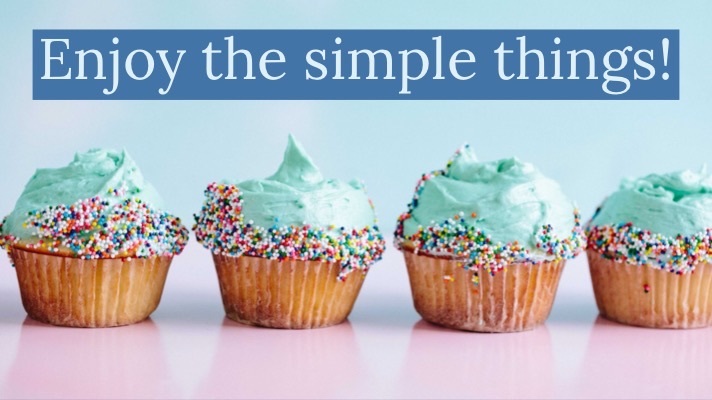 I don’t know about you, but I need things like books and cupcakes and new shoes to balance groceries, laundry, work, and worrying about my kids. We’ve had more extreme cold warnings this winter then I can remember and the coldest temperatures in 80 years. Our daughter-in-law brought over cinnamon buns last weekend. I ate two. I’m not sorry. I enjoyed every delicious bite. Also, books! Reading is a pleasure for me, as it is for a lot of people. We should be allowed to read anything we wish. We shouldn’t have to apologize for our reading choices. We shouldn’t be made to feel like we have to publicly reject the books we enjoy in private. The literary police can take a hike. Books should be accessible, and in most instances they are. They are found in libraries, schools, bookstores, online, and a variety of other places. We can read paper books or ebooks. We can listen to audiobooks. We can stick to one type of book or enjoy a variety of stories. We can read memoirs or cookbooks, or DIY manuals. Newspapers. Periodicals. Magazines. But what we want to read must be available to us. The offerings must be there so we can pick and choose. No one has the right to restrict the access of books to others. My Top Five Guilt-Free Pleasures! Colouring my hair. Because I love my blonde hair. My 80s playlist. Including but not limited to REO Speedwagon, Quiet Riot, Chicago, Laura Branigan, and .38 Special. Watching Forged in Fire. Because modern-day blacksmiths making knives and swords is awesome. Keenau Reeves. Because Speed is the best movie ever made. 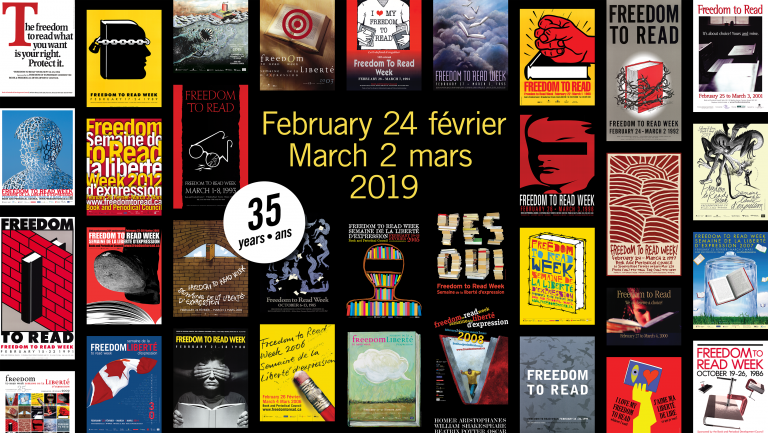 February 24th to March 2nd is Freedom to Read Week in Canada. What little things make you happy? 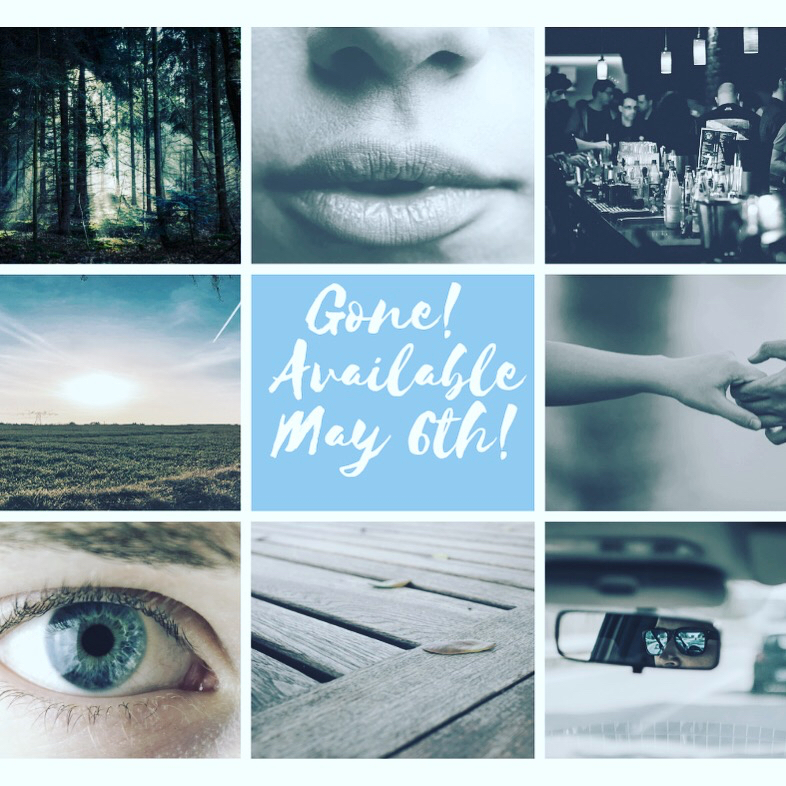 Jana Richards’ New Small Town Contemporary Romance! It’s Friday and you’re asking yourself: “What should I read this weekend?” If you like small town, contemporary romance, then I’ve have just the book for you! And if, like me, second chance romances are you’re absolute favourite, then this is the book for you! If you like tales of forbidden love, family conflict, and babies, then same! Bonus – you get a chance to enter Jana’s giveaway! 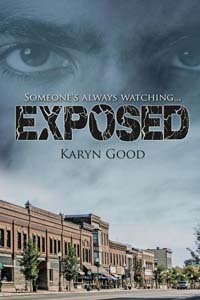 This small-town series is set in the fictional town of Masonville, North Dakota. I’ve given the town a population of 6,000 because I once lived in a town of that size. It’s big enough to have a lot of services, like a hospital and vet clinic, but small enough that everyone knows your business! In each of the books, the characters have a past trauma or unhappiness they must work through before they can be whole again. And before they can accept love into their lives. Right now I have four books planned for the series. Several of heroes and/or heroines in each book work in the town’s veterinary clinic. Two of the heroines and one hero are brother and sisters from the Saunders family. This is the fourth romance series I’ve written. I think I’m getting the hang of this thing! Each book in the series will be a stand-alone story, but as with every series, I think the reading experience is enhanced when read in order. I am currently at work on book 2 of the series, Garrett and Blair’s story. Garrett is Lauren’s brother, the heroine from CHILD OF MINE, book 1, and Blair works at the vet clinic with Cole, the hero from book 1. See? It all fits together! Lauren didn’t intend to sleep with her brother-in-law Cole on the day of her husband’s funeral. But now that she is pregnant, she’s not sorry. 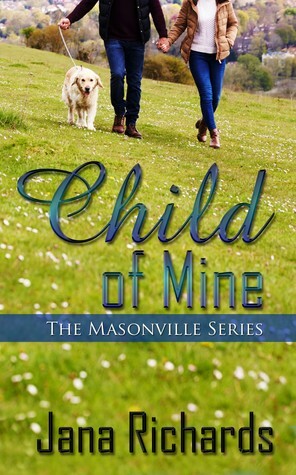 Cole’s given her a baby, a long-wished-for miracle. He’s been her friend forever, though she never told him or anyone else how unhappy her marriage to his cheating brother was. And she’s afraid to tell the small town that considered her husband a hero that the baby isn’t his. Cole’s been in love with Lauren since he was sixteen. It kills him that everyone believes the baby is his dead brother’s. All he wants is to claim the baby, and Lauren, as his own. Though she marries him, will Lauren’s heart ever be his? Lauren must tell the truth or risk losing Cole. Is her newly-discovered love for him greater than her fear of scandal in her hometown? You can find Jana Richards on Goodreads! Twitter! Facebook! Bookbub! I also have a giveaway happening, so if you want another chance at a $25 Amazon gift card visit HERE! What’s you’re plan for the weekend? Battling The Winter Blues and a Giveaway! FYI: the following maybe too much information, but here I go, anyway. I can’t think when I’m in my pyjamas. I know some writers spend the day in their sleep clothes and are productive and go about slaying the universe, fictionally speaking, of course. But, me? Not so much. I put my pyjamas on when I go to bed, or possibly at some point during the evening, like if I’ve worked out and I need to shed my sweaty workout gear. Right now I’m sitting at my desk, in front of my computer, in my pyjamas. And it just feels…wrong. It might be that I need new pyjamas, but, I think for me, day clothes signal productivity. Although lately, some days I’m not exactly setting fire to my to-do list, even when wearing my day clothes. I blame winter! 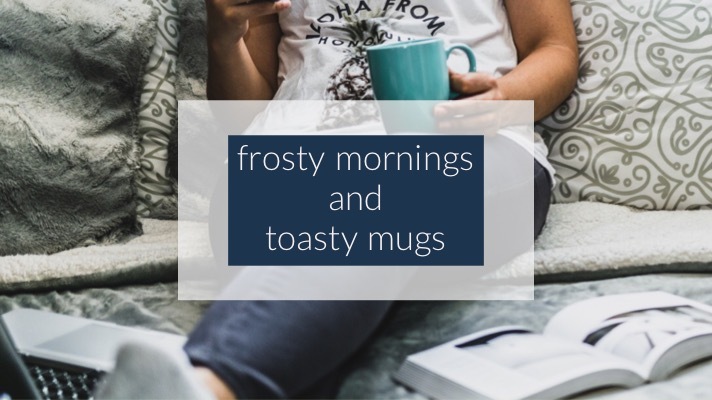 I’ve read all the lists on how to ease a winter malaise. I know I’m supposed to eat healthier, exercise, take Vitamin D. And those things work! But the cold winter still makes me want to hibernate in a pile blankets with a good book. Luckily, there is an endless number of good books out there to choose from. 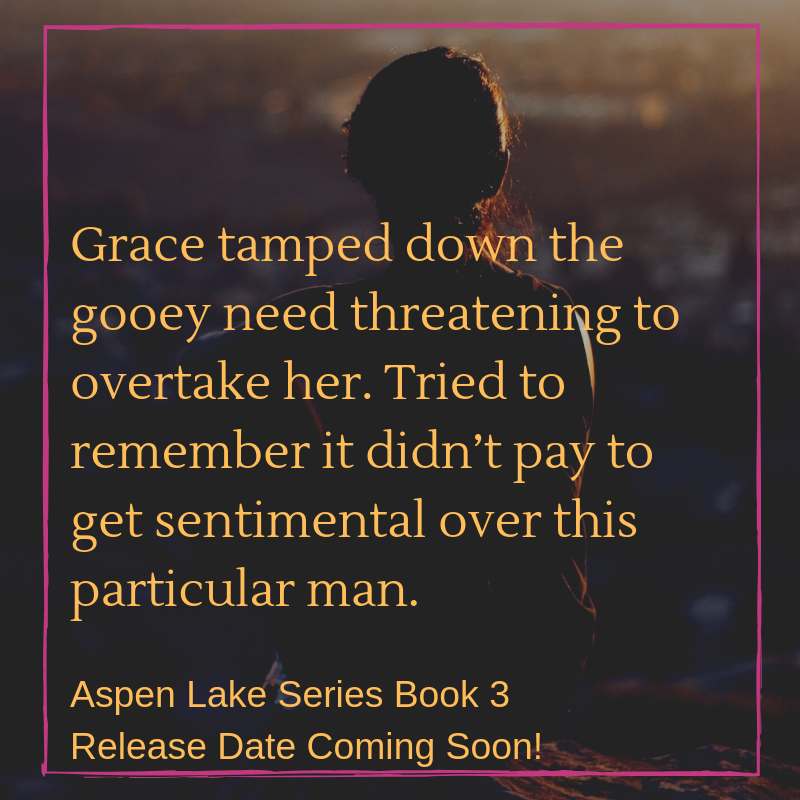 I’m eagerly awaiting the release date of GONE, Aspen Lake Series, Book 3! I’m open to suggestions on how to survive the rest of the winter! Or your opinion on pyjamas! 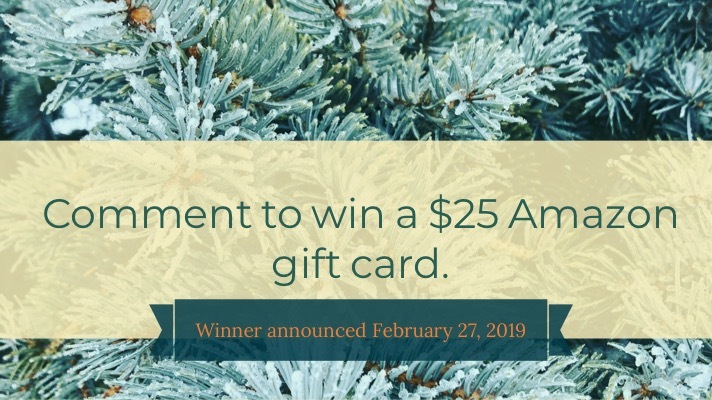 Comment below on some of the ways you battle the winter blues, or any kind of blues, to be entered to win a $25 Amazon gift card. I don’t know if it’s the brutality cold weather or the general malaise brought on by February, but I’m not exactly feeling inspired to make a big deal about Valentine’s Day this year. But all things being equal, it means I should figure out what he’d really like to do for Valentine’s Day. Something or some act that would really convey my feelings and to show I know what’s important to him. I’m kind of scared to try and figure it out because his idea of together time might involve watching sports. Ugh. To me, that is the worst kind of torture. Apparently, someone wrote a book on how to deepen the connections in your relationships. (Okay, I’m sure there are several books out there on the subject of relationships.) I haven’t read The Five Love Languages by Gary Chapman, but the idea of discovering my love language is intriguing. Here’s an entertaining summary I found on YouTube, that might be of interest. If you’re interested in learning what your love language is or discovering what your partner’s love language is go HERE. If you think that sounds like a bunch of hooey, here’s a couple of links instead! Romance novels to check out in 2019! Also, next week I’ll be announcing another contest! And next Wednesday my newsletter goes out and there’ll be a contest there, too! What’s your take on Valentine’s Day? Take it or leave it? You’re the winner! Please contact me with your email address, and if you want an Amazon or a Kobo GC, and I’ll send that out to you! So, January is over. Thank goodness! It’s the first day of February, it’s Friday, and, of course, I’m reading a book! I have to say, I’m really enjoying this one. Time slip novels are fast becoming a favourite! What’s everyone else reading these days? Oh my gosh, I’m so excited to share this cover! My newsletter subscribers got a early peek last week, along with a chance to win a fabulous prize pack of goodies. But this week, I’m sharing it with everyone! 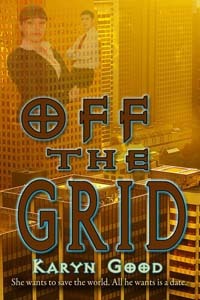 And thank you Kim Mendoza for doing such a wonderful job on my cover. 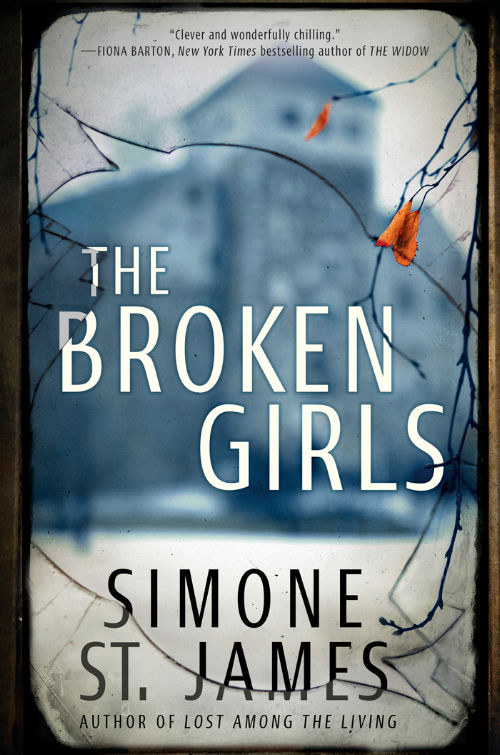 Ever since a devastating family tragedy seventeen years ago, Grace Bighill has struggled to keep her remaining family from falling apart. Then the discovery of her mother’s body in the woods unearths a connection to a decades old murder case, and Grace is dragged into a politician’s bitter bid for revenge. Constable Mike Davenport’s days in Aspen Lake are numbered. He’s ready to take his next step up the career ladder somewhere a lot more cosmopolitan. He’s avoided any emotional attachments, despite having fallen hard for a certain stubborn local. But when a body turns up, Mike’s careful intentions collapse in the face of Grace’s grief and her exhaustive efforts to care for her family. A search for answers leads Grace and Mike down a twisted path proving no one can escape their roots. But someone might die trying. The release date is coming soon! 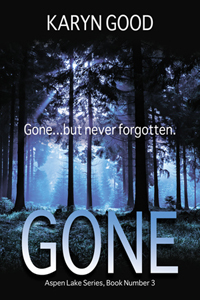 GONE is the final book in my Aspen Lake Series. 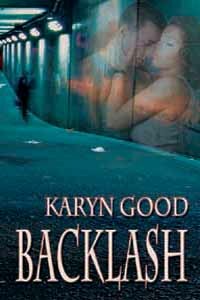 Check out BACKLASH and EXPOSED to see where the series started. There will be more snippets and giveaways to come in the following weeks. For now, check out my giveaway that ends tomorrow! Tell me what you think of my cover! Planners and Journals, Oh My! My favourite part of a new year is new notebooks, journals, and planners. Love, love, love me some crisp, clean pages to write in. And one of my goals for this year is to keep better track of thoughts, reviews, writing time, etc. I like the idea of having a paper trail of my thoughts that I can look back on. I feel like I need more than one notebook to record the different things I want to track, without it becoming too complicated. First of all, I need a calendar to keep track of appointments for myself and all things family related. This one is put out by a company called Fringe that I bought at Winners for $15. I bought the least complex one I could find that was still visually appealing to me. Next is my bullet journal, although what I do probably isn’t considered bullet journaling, per se. This is where I doodle, jot down random things, make to-do lists, etc. Most recently, I wrote down a couple of podcast recommendations: Malcolm Gladwell’s Revisionist History and The Guilty Feminist. For this I love the Leuchtturn journals and I always go for the ones with the dotted lines versus the blank pages or lined ones. I was lucky enough (my people know me well) to receive two journals for Christmas and I’ve found a lovely use for both of them. I wanted to give each one a specific purpose. 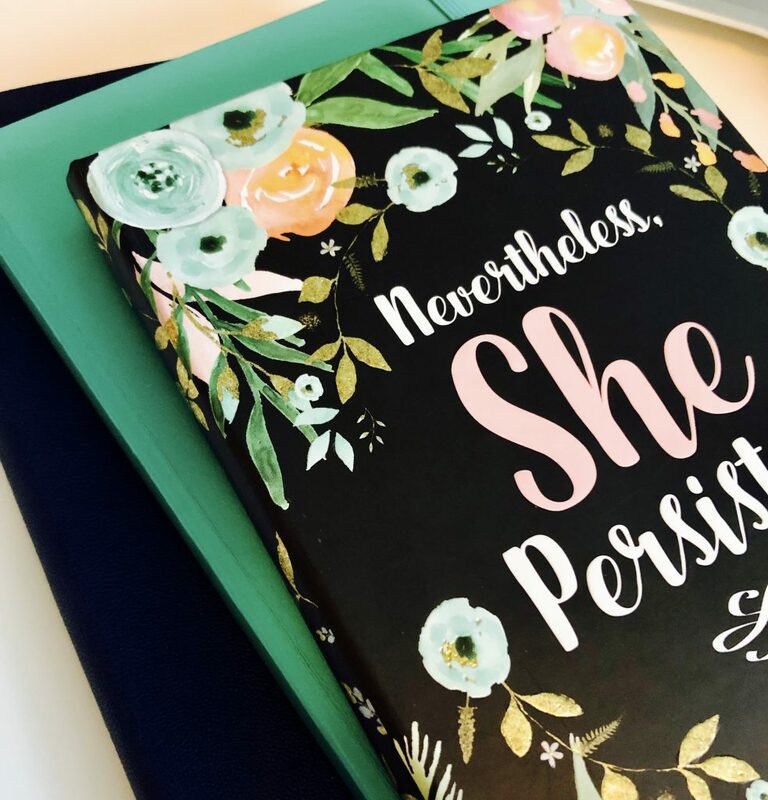 The one with the cover quote Nevertheless She Persisted is dedicated to keeping track of my writing progress. Which, eeps, is something I’ve never done before! The other journal I have earmarked for reviews of books, plays, movies, concerts, Netflix series, etc. I’ve wanted to do this for a long time and this year is the year I start. 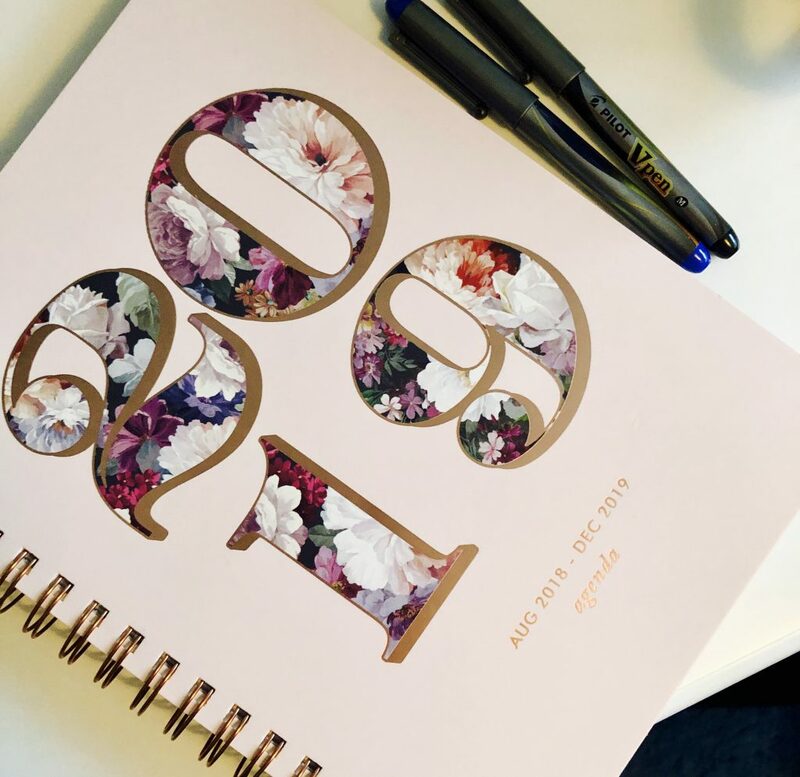 Who else loves journals, calendars and notebooks?